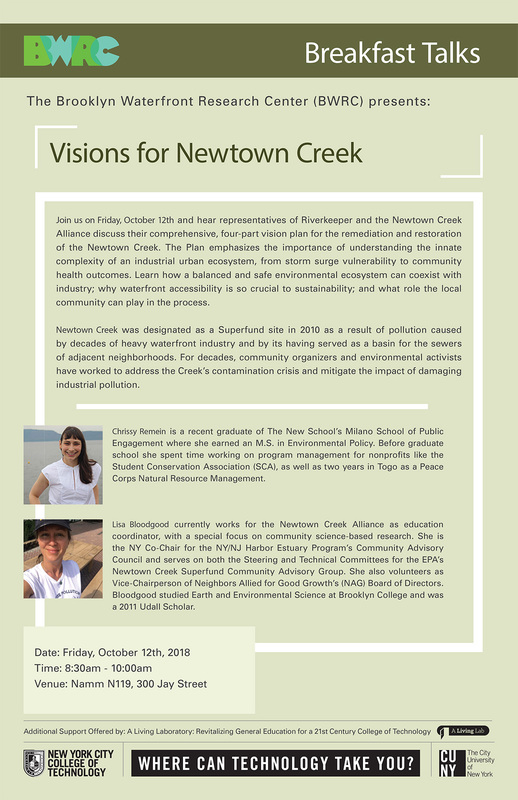 Join us on Friday, October 12th and hear representatives of Riverkeeper and the Newtown Creek Alliance discuss their comprehensive, four-part vision plan for the remediation and restoration of the Newtown Creek. The Plan emphasizes the importance of understanding the innate complexity of an industrial urban ecosystem, from storm surge vulnerability to community health outcomes. Learn how a balanced and safe environmental ecosystem can coexist with industry; why waterfront accessibility is so crucial to sustainability; and what role the local community can play in the process.